I sang in a concert once with Donnie McClurkin. Yolanda Adams was there too. (Their later duet is one of my favorite songs!) No, this event was not a dream. Our church choir director happened to be friends with notable conductor David Clyesdale. When he came to guest direct his latest Christmas musical, he brought along a few well-known friends. I was in junior high then, and the event definitely made an impression on me. I am not sure that we sang “Hark the Herald Angels Sing.” But Donnie definitely sings it well now. His Christmas album is highly recommended, so I though I would share one of his traditional carols with you. But before listening to Donnie sing, you definitely need to know more about the hymn. 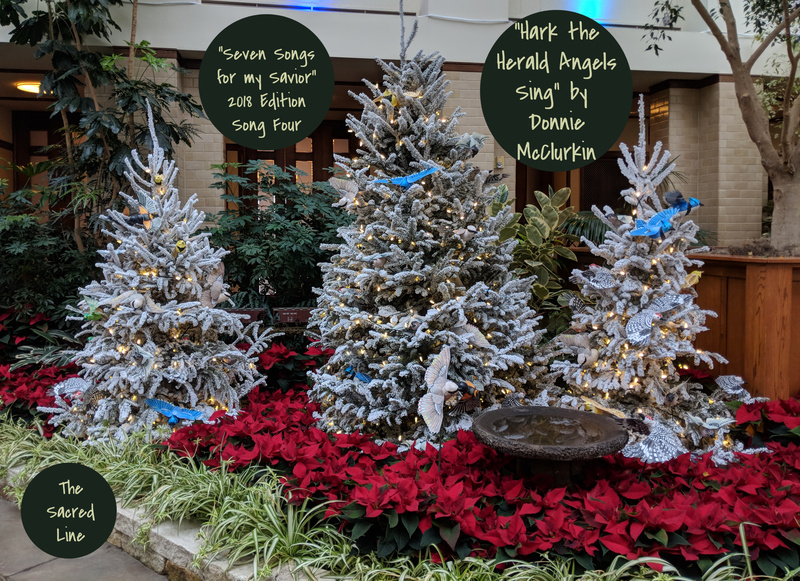 When I was reading part of the book, Stories Behind the Best-Loved Songs of Christmas by Ace Collins, I was quite surprised by the history of the song, “Hark the Herald Angel Sings.” While the songwriter (Charles Wesley) is known, part of the lyrics are not his. George Whitefield, the famous revivalist preacher, some of the words. “Hark how all the welkin rings” was the original phrase. Unfamiliar with the term, “welkin?” This link will help. But if you have a chance, read the chapter in Ace Collins’ book. His explanation is even better!